How often can I use the fishbowl format? You can use this type of circle repeatedly, but some classes will become impatient with it after a couple of weeks because those who are in the outer circle may feel like they have a marginal role. It’s a great thing when the students start complaining because they want to be more involved in the circles! You can ask them if they will stay on task if they work in small groups, and see how that goes. You can also have a circle discussion with the class on the question, “When, and for what situations, should we as a class use fishbowls?” Another alternative is to use the Spiral circle format, which tends to keep the outer circle more engaged. Fishbowls can also be used for the positive behaviors that the students listed along with the troubling issues. Try focusing on the positive one week, using the exact same questions. Some classes will take to this readily. Others will not want to participate; for these classes, kindness and affection may be socially riskier than confrontation! From your point of view, what happened? This isn’t about proving what happened; it’s about hearing each person’s story. Think back to the event and just tell how it happened, as you experienced it. What do you remember thinking at the time? What thoughts went through your head as it happened? What have you thought about the incident since? (After others have shared): How have your thoughts changed after hearing what others have shared? How have you been affected? How have others been affected? What kinds of impacts has this had on you? On others? What can be done to help make things right? Is there anything you would like to ask for? Anything you would like to offer? What feelings or needs are still with you? What was it like for you to participate in this dialogue? A restorative circle dialogue is different than the circles the class has done so far because instead of practicing on hypothetical situations (the chips scenario), it focuses on specific conflicts between people. They can be small or large conflicts, and these circles can be brief—a matter of a few minutes—or, if the circumstances are serious and there has been significant harm, they can meet for an hour or more. Restorative circles generally have three phases. You can explain these phases and what happens in each of them to students. 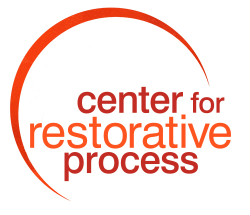 Teaching restorative practices, skills and concepts using this curriculum will support each of these phases; it will increase the likelihood of successful outcomes. Making sure that everyone understands what to expect. Supportively listening to each person—especially those who are affected in harmful ways—to help them begin the process of telling their story. Managing the logistics of setting up a meeting. Sometimes the first phase happens very quickly, on-the-spot, as in impromptu circles that are called immediately when a conflict arises. Many circumstances involve taking more time, sometimes meeting individually with each person involved. Use the restorative questions. Ask each person in turn. Facilitate and prompt as necessary. Avoid going into counseling mode. Also avoid solving the problem for the participants. Allow those who are affected to define the issues and develop their own plan for making things right. When preparing students for the circle dialogue, clarify that it is not like a courtroom drama. Nobody is on trial. Even if people’s stories about what happened differ and seem to contradict each other, more often than not as people share there will be more clarity and areas of agreement, and this will be sufficient to create understanding and come to agreements. Provide active guidance on documenting any agreements that are made, with attention to clarifying the specifics: who, what, how many, by when; what support will be needed; and how accountability for completing the agreements will be handled. Third phase—after the circle: The main focus here is on accountability and support. Accountability means following up on the agreements and keeping track of their status. This may also include letting everyone who was in the circle know when they have been completed. Support means providing resources to help people complete their agreements. Sometimes completing agreements challenges the skills and resources of students. For example, writing an effective letter of apology may be a stretch for a student’s literacy skills. The person(s) who are monitoring plan completion will need to be sensitive to these challenges and help to arrange for tutoring or other support as needed.